Teamsters Local 162 is a democratic trade union established in 1903 in Portland, Oregon, by wagon drivers who joined together for better hours and working conditions. Those early Teamsters and the labor movement as a whole fought the early battles for the 8 hour work day, the weekend, overtime compensation and workplace safety. Future generations of Teamsters ushered in the era of pensions and health care for workers. The Teamsters Union is proud of our role as a strong voice in the American workplace and while we strive to protect our hard fought gains we are always looking to improve upon them. Local 162 has an experienced group of full-time officers and legal team that administrate, negotiate and enforce Collective Bargaining Agreements on behalf of over 5,100 active Local 162 members working for employers in the private sector. We represent workers in the freight industry, package delivery, intermodal, soft drink and beer, food distribution, construction, manufacturing, grocery and general warehousing and trucking. If you bought it in the Portland area there is a good chance at one point it was handled or delivered by a Teamsters Local 162 member. What we do is simple. Represent our members to the fullest. Expand our membership by organizing the unorganized. And stay active in the political arena, because what we gain at the bargaining table can be taken away by the stroke of a politician’s pen. We are affiliated with Joint Council of Teamsters No. 37 based in Portland, Oregon, and are one of more than 400 Teamsters Local’s affiliated with the 1.3 million member strong International Brotherhood of Teamsters headquartered in Washington D.C.
New provisions in the UPS contract on excessive overtime, which will take effect once the new contract is ratified, require the Union to circulate a list and collect the names of package drivers who wish to opt-in and be covered by the provisions of Article 37.1c of the National Master UPS Agreement. If you want your name on the 9. 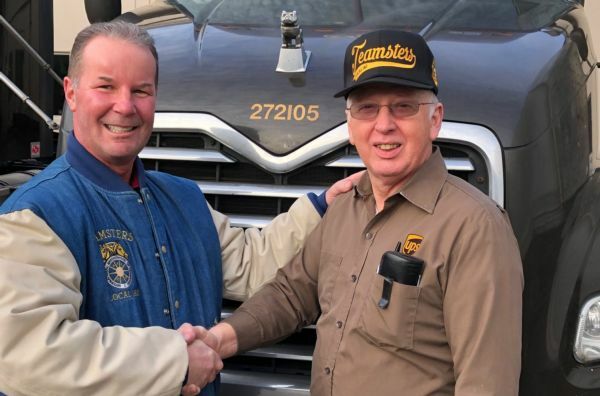 Local 162 member Tim Hermens retired after 31 years of service as a package car driver at UPS and a long time shop steward. 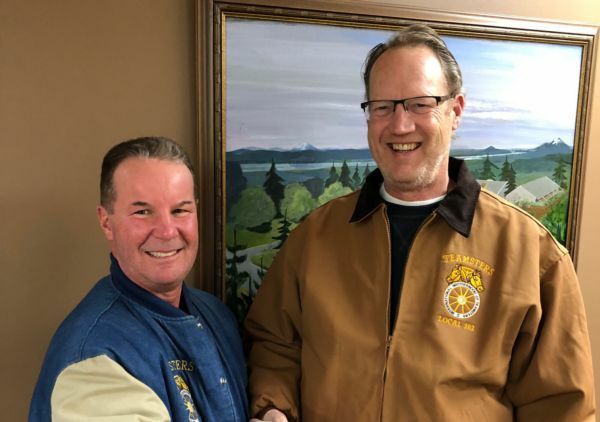 Tim also served as the sergeant-at-arms at the monthly general membership meetings for Local 162. He was a fixture at all Local 162 events and job actions and is a true trade unionist and loyal and strong Teamster. 40 year Local 162 member Bill Anderson has retired from UPS. Bill was a feeder driver, Union activist and regular attendee at Local 162 monthly general membership meetings. We appreciate the loyalty and support Bill has always demonstrated to his Union and his dedication to his trade and craft at UPS. Congratulations Bill! AFLAC OPEN ENROLLMENT Open enrollment for Local 162 members to sign up for Aflac insurance is taking place the entire month of March 2019. At the request of Local 162 members, your Union leadership continues to negotiate group discounted rates with Aflac for accident, critical illness and hospital indemnity insurance. 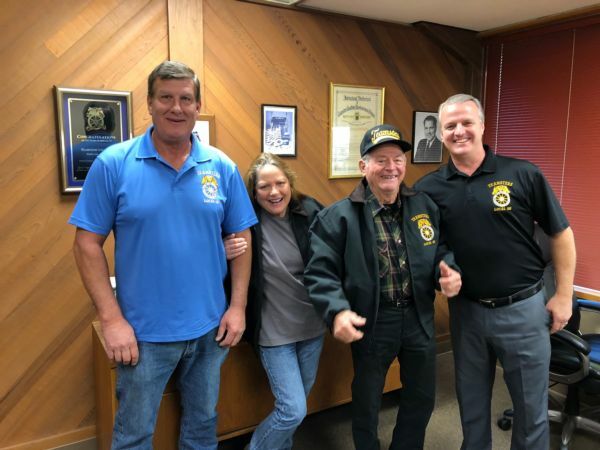 Teamsters Local 162 member Doug Nelson has retired after 40 years of service. Doug worked at UPS and was a feeder driver. He put forth a strong work and Union ethic and will now enjoy the fruits of his labor with his pension from the Western Conference of Teamsters Pension. We wish Doug the best in his well earned retirement. Santa is a Teamster - Local 162 has the Proof! Teamsters Local 162 member Robert Brooks Lyle takes pride in his job as a full-time package car driver at United Parcel Service. 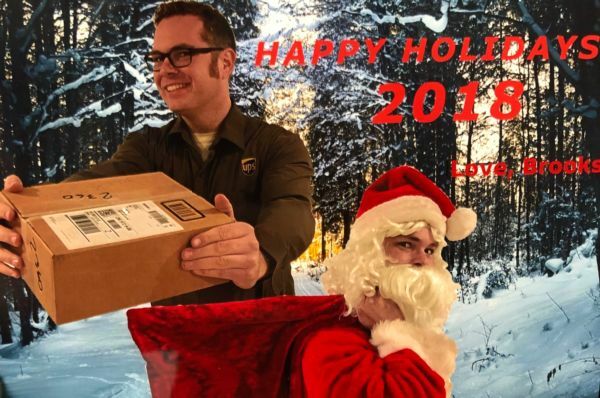 He has been a driver at UPS since 2006. Brooks route serves the Multnomah Village area of Southwest Portland. The James R Hoffa Memorial Scholarship Fund is now accepting applications for the 2019 school year. Applications are taken online at http://www.jrhmsf.org. 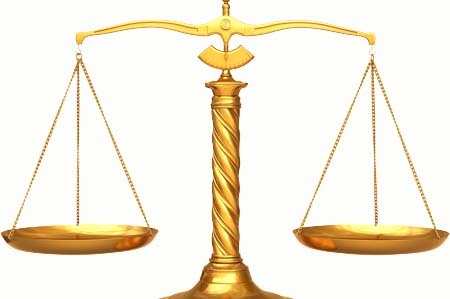 Eligibility: For the sons, daughters and financial dependents of Teamster members. Local 162 members Padi Blanchard and Lloyd Schiermeister have both recently retired after long careers driving truck at Safeway/Albertsons. Padi is a 40-Year Teamster (42-years in the industry) and at the time of her retirement the number one driver on the seniority board. After Padi retired Lloyd took the number one spot and retired shortly thereafter. 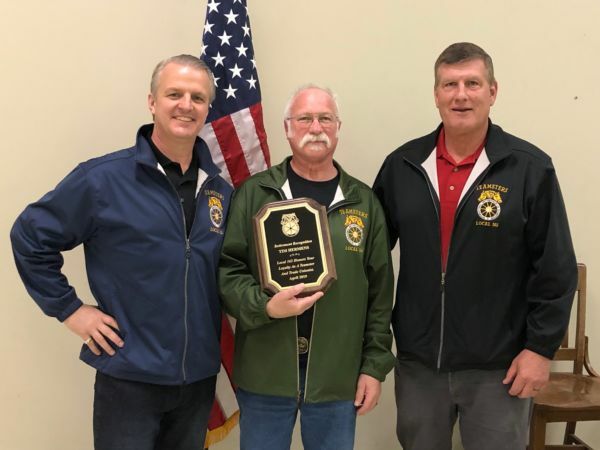 Local 162 member Craig Robinson has retired after 40 years of Teamster membership. Craig worked at UPS and spent over 32 years as a feeder driver and 8 years as a package car driver. He is going to continue to pursue his bicycling interest in his retirement. Local 162 appreciates the loyalty Craig has always showed for his Union and the dedication to his trade and craft. At Local 162's general membership meeting on Sunday, November 4, attorney James Marsh educated members on the rights of worker's when they are hurt on-the-job. Marsh is no stranger to Local 162 members as his legal focus is workers' compensation cases. He has represented worker's in numerous industries throughout the Portland area for over 30 years. Dear Local 162 UPS Member: Local 162 members at UPS in Portland have reported that they have received their ballots to ratify the proposed 5 year contract and have already started casting their ballots. 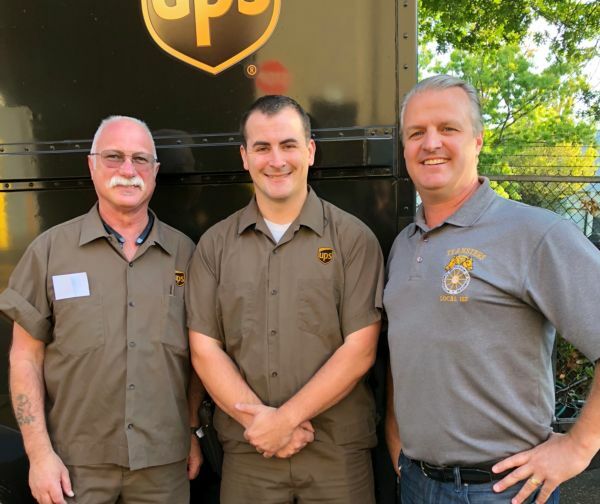 Local 162 member Marcus Winklepleck is a full-time UPS package driver at the Portland Swan Island building. He is also a Navy veteran. 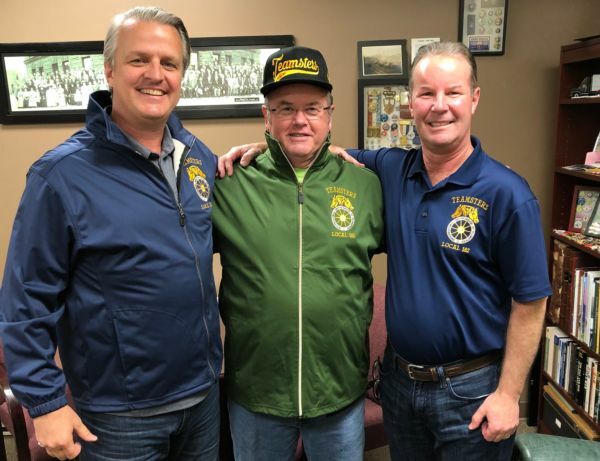 Marcus filed a grievance with Local 162 ater reading a previous story we published concerning a grievance settlement about pension contributions for two military veterans in the Portland feeder department. Teamsters Local 162 held UPS contract explanation meetings at our Union hall on August 18 and 20. All of the tentative agreements were fully reviewed including an extensive and detailed discussion on the new 22.4 combination jobs.